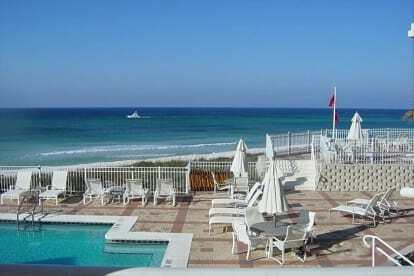 The Mathesons are offering their Second home, Ocean Front Condominium, for short and long term Rental. We love being at The Ocean viewing the sizeable waves, the crossing boats, the beautiful and unbelievable sunsets, the flying seaqulls and the jumping dolphins, all at your site from the condominium. Listening to the sound effect from the Gulf is enough to put me in a very peaseful sleep. The Sugar White Sandy Beach puts the others to shame. The elegant Ocean Front Homes are something to stare at and remember. Nineteen Mile bicycle track is two blocks away and great restaurants are placed all down 30A. Known Golf Courses throughout the area. Must be here to enjoy!